Sounds like the situation in Cleveland is worse than we thought. The Cavaliers are currently in the middle of a slump that has seen them win only 4 of 14 games and just one of their last six, capped off by a humiliating 148-124 loss to Oklahoma City on Saturday. The team has always had a Jeckyll and Hyde thing going on during the regular season, but this year feels different. Recently it’s been suggested that there are “factions” within the Cleveland locker room that have started pointing fingers at Isaiah Thomas upon realizing he is defensively inferior to Kyrie Irving. There have also been rumblings that head coach Tyronn Lue may be on the hot seat. 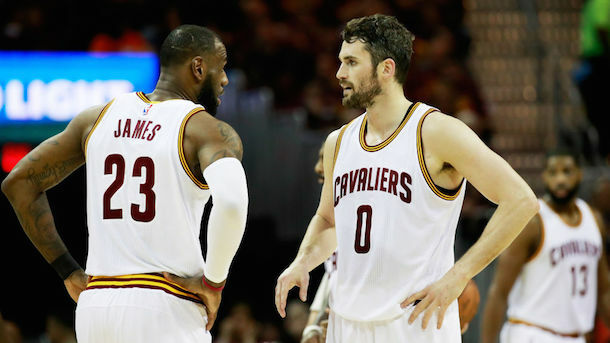 Now comes a report from ESPN’s Adrian Wojnarowski about a “emotional” team meeting prior to practice on Monday in which several players called out Kevin Love. Love only played a few minutes in Saturday’s loss to the Thunder due to an unspecified illness and reportedly left the arena before the game was over. He also missed practice the following day. According to Wojnarowski, Monay’s meeting was “fiery,” and several players got “loud and intense” while demanding that Tyronn Lue and GM Koby Altman, who were in attendance, hold Love accountable for his actions. Is this just another Mr. Hyde phase for the Cleveland Cavaliers? Now that they’ve got it out of their system, will they turn back into Dr. Jekyll? Maybe. But if I were a Cavaliers fan, I’d still feel a little uneasy.